The modern Berkshire breed was developed in Britain as a specialist pork pig in the middle of the nineteenth century. The Berkshire breed is one of the oldest breeds of pigs, and was the first British breed to have a herd book of recorded pedigrees. It is believed to have come from Reading, the county seat of the shire of Berks in England. 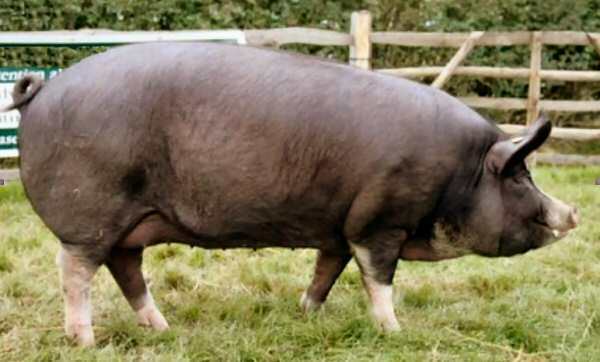 The original Berkshire was a reddish or sandy coloured pig, sometimes spotted. Later the breed was improved by crossing with the Chinese and Siamese pig introduced into Britain in the 1700s, bringing the distinctive black and white colour pattern we see today, along with other important qualities. The Berkshire is a distinctive colour – black with four white feet, white on the face (usually a blaze), and white on the tip of the tail. During the recent years the Berkshire has made great strides of improvement towards meeting the demands of the commercial pig industry. Selection pressure has been applied toward those traits of great economical importance – fast and efficient growth, low back fat, reproductive efficiency, and meatiness. Although it is a coloured breed, the meat dresses out white and it is ideal as an early-finishing breed either run outdoors or in a commercial indoor piggery. 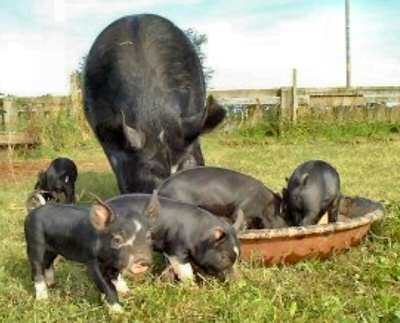 The Berkshire seems to have been prominent amongst the pig breeds brought into New Zealand in the early days of European settlement, and was often crossed with the Tamworth to provide quality weaner pigs for fattening on milk by-products. Today the Berkshire is relatively low in numbers in some countries such as Britain where it originated, but has been able to compete favourably with other commercial breeds in intensive systems. It is suited to both indoor intensive and outdoor production systems, and is ideally suited to outdoor semi-commercial farming systems. Go to Berkshire Standard of Excellence.